This two-part tutorial looks at the techniques for rendering millions of particles in Houdini 10. 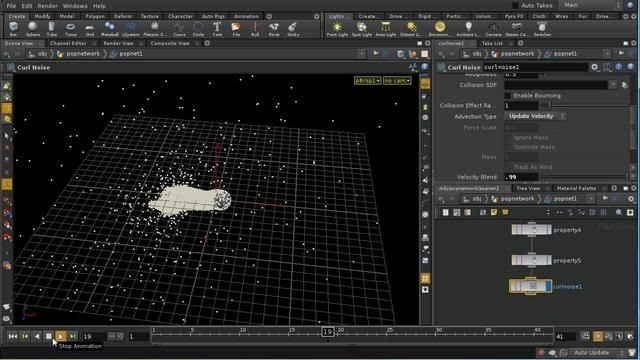 The first part looks at using the popsolver to manipulate particles using both the standard pop nodes and dynamics forces. We use the interact pop, and random grouping of particles to build an ink like effect. We set up a smoke simulation and use the velocity field of that to advect (move) the particles. Whether you're new to Side Effects Software's popular 3D production program or a seasoned graphic artist just interested in better acquainting yourself with the application, you're sure to be well served by this free video tutorial. For more information, including detailed instructions, take a look.